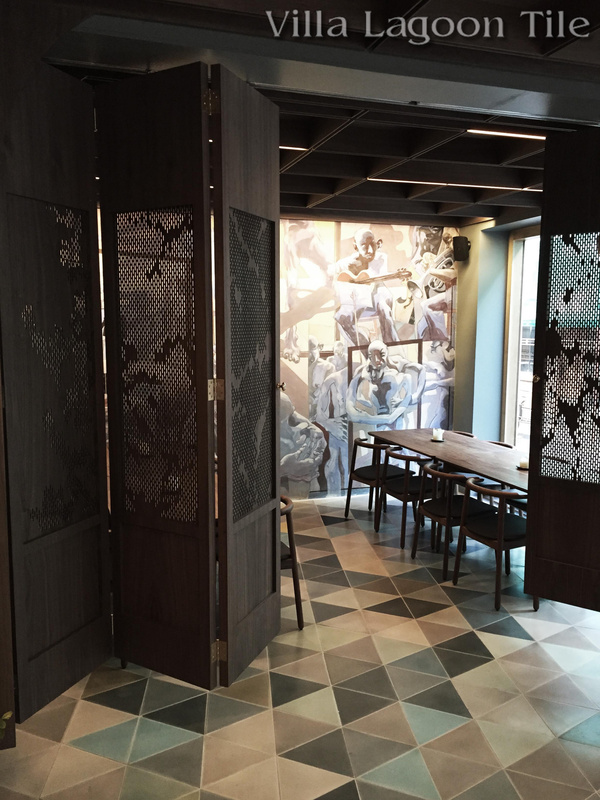 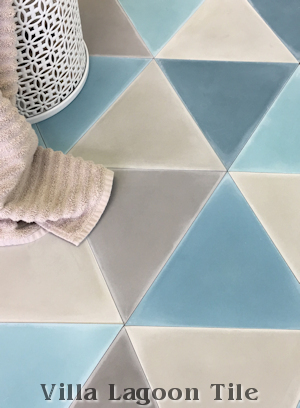 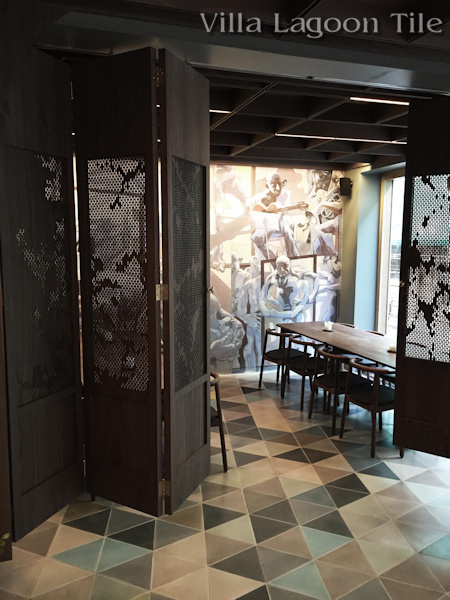 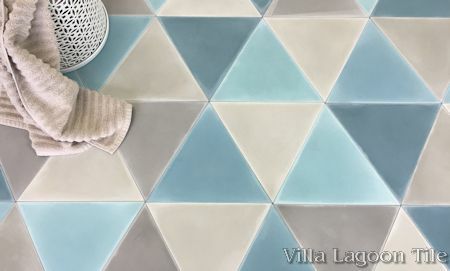 "Troika" is Villa Lagoon Tile's new large-format triangle. 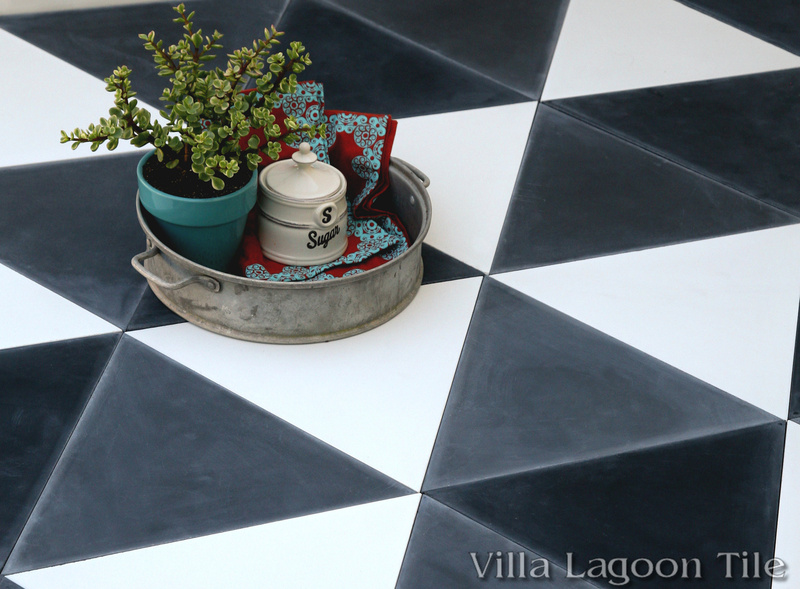 At 13.4" (34cm) per side, Troika is one of the largest formats available in cement tile. 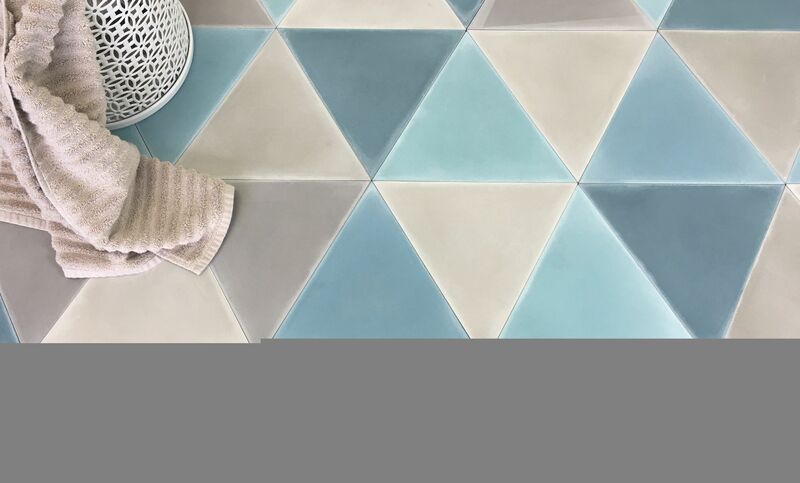 We currently have various quantities of several colors available in-stock, call or email today for specific availability! 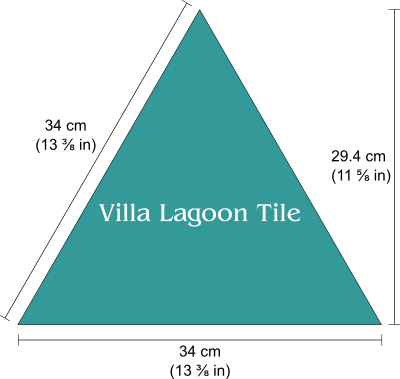 Standard Price:$7.60 per tile ($14.14 / square foot)10 tiles per box.